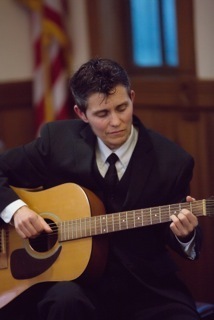 arrangements of client's favorite songs on solo guitar and providing the perfect soundtrack to magical events. 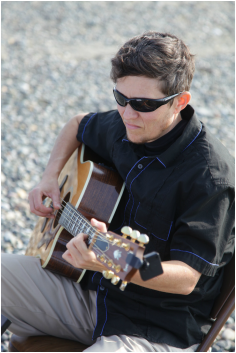 "Quinn's music adds a touch of class to any event"
“Quinn Fitzpatrick is a articulate and talented guitarist and song writer. I'm a poet and I love words, but Quinn's music is so richly textured that words would only get in the way. When I listen to his CD "Right On Track" I leave the details of life behind and drift on beauty."